Bridges are used to fill in the spaces of missing teeth by using a minimum of two adjacent natural teeth. When a tooth or teeth are missing, the teeth on both sides of the space can be prepared for a crown. Crowns are made for these teeth and artificial teeth are connected to each crown to “bridge” the missing space together. The bridge is then returned to the dental office and cemented into place as a one solid structure. 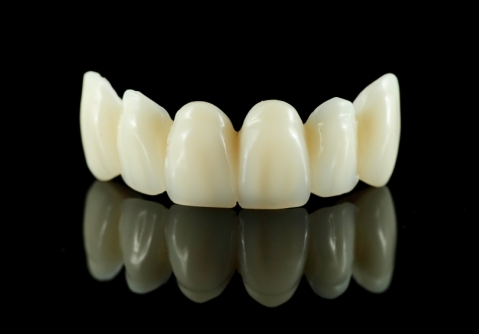 This solid bridge is convenient for patients because it is fixed in place and does not require removal. Bridges are able to prevent teeth from drifting on either side of a missing space. They also prevent the tooth above or below the missing space from moving down/up into that space. They also aid in restoring function in the area of the missing tooth.